The Amore Pacific’s IOPE has decided to catch up higher requests from folks with re-borned Air Cushions in Spring passing by 3 months ago. This might have driven its fans crazy for new outlooks as well as new formulas. Somewhere in my last posts, I did a review of IOPE Air Cushion 2016 generation in Matte Longwear from impartial points of view. Stop talking about it, we gotta giving all of our favors to the youngest blood at the moment. 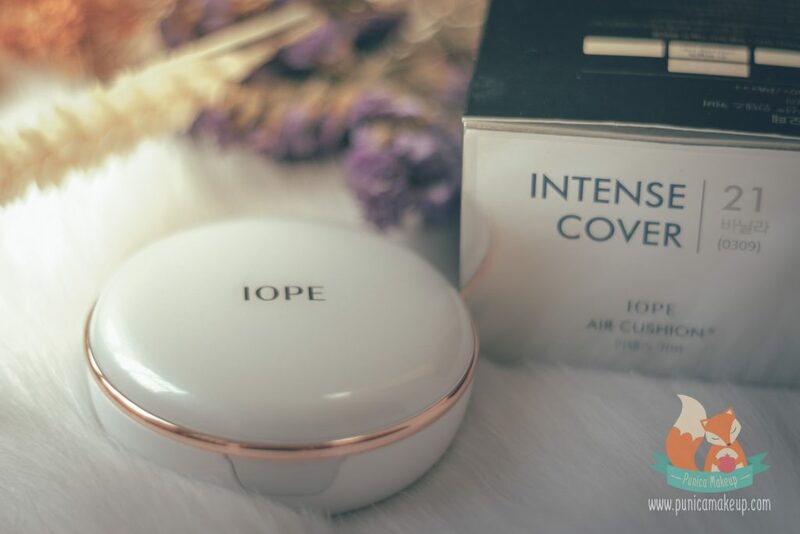 I’m gonna share a review of 2017 IOPE Air Cushion in Intense Cover, from which I anticipate delivering more beautiful coverage. And, believe more amazing things will happen in this change. 1. What Is 2017 Air Cushion All About? Let’s cut straight to the point, New IOPE Air Cushion is still up to 4 finishes same as the previous generation of 2016. However, it promises to provide certain improvements that are more considerate for variety of skin types but also customer desires. They are Natural, Cover, Intense Cover and Matte Longwear. 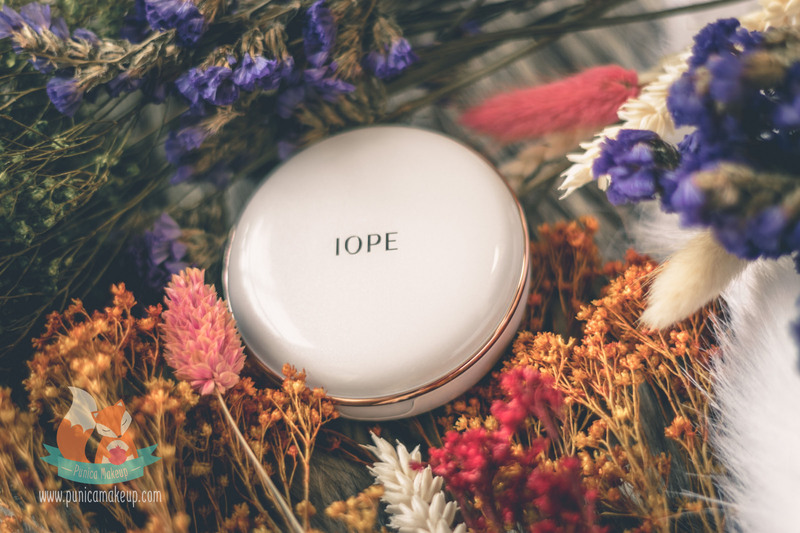 I can tell the Natural Glow and Moisture Lasting of 2016 IOPE Air Cushion were no longer to exist in the new introduction. It seems that the company has offered two substitutes, in short, Natural and Cover. We bet these two represent almost what inspires the 5th generation, which is supposed to make us want it so bad. The innovation is using Air Prism Water™, which is only a privilege granted to the Natural and Cover. Let me walk you through, Air prism water is a trademarked formula, in which Bio Water™ is added with moisturizing trehalose and 3D prism pearl. 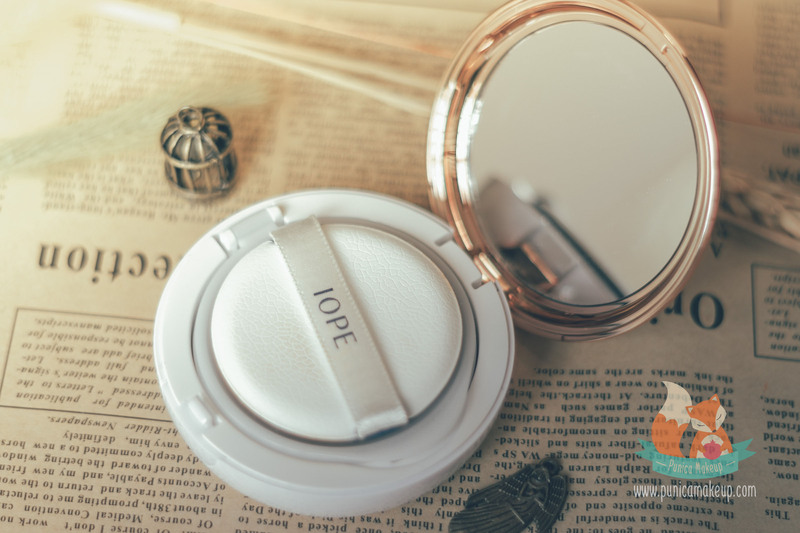 I think we’ve been familiar with the Bio Water™, came up in the 2016 IOPE Air Cushion to effectively hydrate skin throughout the day. Then, the idea is to create extraordinarily moisturizing effect with shiny surface, which will be more superior than previous generations. Intense Cover and Matte Longwear somehow still keep its’ formula, not different from the last year version. However, the company also reform them for higher gratifications as well as purposes. Air Cushion Natural contains the largest amount of hydration; otherwise, the least coverage in range. It’s infused by the Air Prism Water™ to substantially lock skin in moisture with noticeable radiance. Additionally, Coloring Technology™ that is made of blending pigments uniformly through repeated collision for the better vividness of hue and coverage. Air Cushion Cover brings about high hydration level by similarly including the Air Prism Water™; but more coverage than Natural. Moreover, it includes Multi-porous Prism Powder™ and also, Prisma Powder™ that are inclined to brighten skin tone and result in smoother texture. Air Cushion Intense Cover tends to deliver the highest coverage with a medium moisturizing content. The finish is prone to matte side with less glowy look than Natural and Cover lines. Bio Water™ solely functions to hydrate skin. Also, the line consists of LCCP powder (patent registration), which is technically designed to pursue an impeccable, seamless looking skin. That tends to vigorously cover up imperfections, even the peskiest ones, such as blemishes and red spots. Air Cushion Matte Longwear is gonna provide the lowest amount of hydration with a medium coverage. Like Intense Cover, the cushion has only Bio Water™, which works for its’ moisturizing effect. Furthermore, it contains the clear pore elastomer structure and compact fitting system to manage excessive sebum. Gives a fresh, clean and soft surface without oily traces, reduces skin’s exaggerated shine and dramatically conceals pores. Also, it’s mostly skewed to matte side. All of these will come with 4 shades and emphasize their whitening effect, strong sun protection (SPF 50+ PA+++) and dampen fine lines. If your skin is suffering from extremely dryness or flakiness, Natural and Cover must be top of your choices. They bring about a coveted dewy, luminous look, no more dullness creeping to your skin. Nevertheless, in case of oily skin, just pick Matte Longwear and your skin will love you for that. My skin is kinda combination, sometimes dry with many pimples, redness and acne scars so Intense Cover is definitely for me. No.21 works best for my skin tone. The shade literally has yellowish, warm undertone fit pretty well for my skin color and makes me look livelier. Although it’s kinda slightly tan, compared to the color of my neck and body, yet, it doesn’t cause a big distinction to be a matter tho. I’d say the Intense Cover is much better than what I got last year. It’s too good to be true. 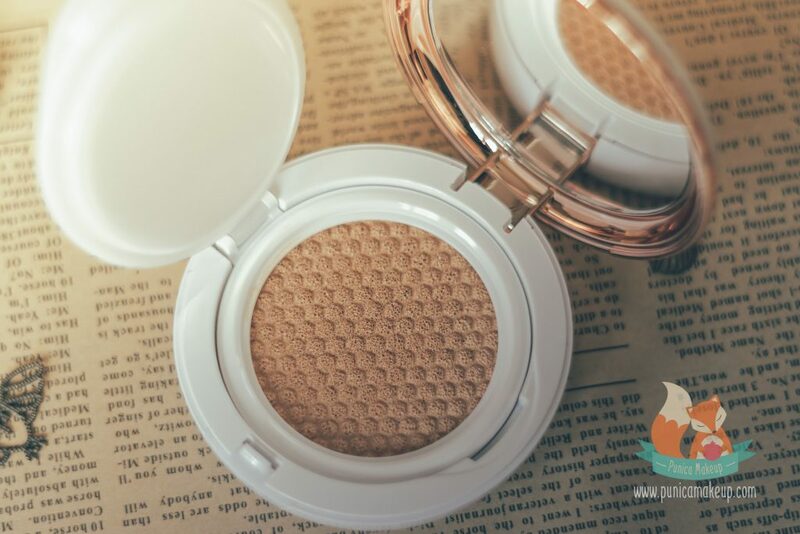 Undeniably, the cushion is very buildable and tends to give a flawless looking skin with silky texture. When applying onto my face, the foundation quickly diffuses and spreads evenly without streaks or patchy marks. I usually have redness around my cheeks and some small bumps, blemishes and acne scars upon my chin and forehead. I don’t need to put many layers and it effortlessly diminishes the appearance of these annoying flaws. Additionally, it doesn’t settle in pores like the one I got 2 years ago (Air Cushion XP-3th generation). Besides, the foundation incredibly neutralizes discoloration and hyperpigmentation of my skin. Dark circles are always nasty under my eyes because of stress and sleep deprivation. It’s shockingly amazing to cover up them without a doubt. The intense cover seems to result in the highest coverage; however, I don’t feel heavy or uncomfortable at all. It visibly gives weightless sensation. It’s more like you’re wearing your own skin, but looks more stunning and healthier. Admittedly, the hydrating property isn’t as strong as Natural and Cover. I think it’s literally sufficient or enough toward normal or combination skin. I don’t feel disgruntled about this. Its’ finish is adorable, more likely to be half of glowy and half of matte. It’s kinda semi-matte. The more moisturizing content is added, more glow or shine you’re gonna get to the coverage. I’m not really a fan of dewy skin; I do like my skin looks radiant and beautifully reflect the light. However, shiny, moist and soaked looks actually bother me. The Intense Cover still delivers a radiant surface reasonably without any greasy or sticky feelings for the whole day. 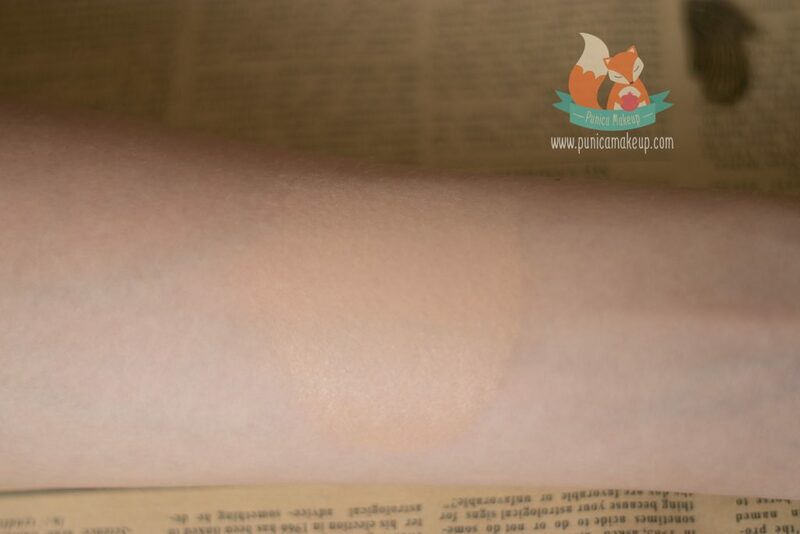 Lastly, it can stay in place for up to 7 hours or more without primer and setting powder. The cushion does have smell, it’s kinda a strong fragrance same as before and not lingering at all. The company doesn’t change the packaging of Intense Cover and Matte Longwear, same as the 2016 generation. Intense Cover comes into a white, pearly case with orangey border. Except for Natural and Cover, which have more enchanting, silvery cases, which can be nobly called as “mirrorball holo prism cases” by folks. Sorry that I couldn’t show you the mirrorball in this post, the Intense Cover seems to be perfect for my need and skin condition. Look at closely inside the cushion, it still has the honeycomb-like design; otherwise, different finishes also require different structure. Both Intense Cover and Matte Longwear are prone to have plenty of small 3D cells that include contents and demonstrate better adhesion for delicate and thin cover. On the other hand, Natural and Cover tend to get larger 3D cells that facilitate providing great moisturizing power. The sponge is still slender and small as usual, I don’t like it. This is sort of inconvenient to hold tightly in my hands and I often carelessly drop the sponge while applying. So, I can’t make it snappy to apply the foundation and pat evenly all over my face. I find the sponge isn’t worth the cushion. As usual, the box includes a sealed, complimentary refill 15g with the case, which already has the foundation inside. The cushion is much more amazing and loveable than before. I fairly satisfied with it. The price is affordable and I think it’s worth it. I’ll give it 8 out of 10. You can check out the price right below. I hope you find this post helpful and informative to make good choices. If you have any questions, ideas or suggestion, please be open to me. I’d love to hear you out. Thank you so much for joining us!